Hard to believe we are already past the half year point again! This weeks Pic(k) of the week comes from the Paris Airshow, which was held at the Le Bourget airport from June 17 to 23. The 52nd edition of the Paris airshow is officially classified as one of the oldest and also largest "airshows" in the world. The event which is held every 2 years (odd years) it is more of an Aviation fair than a classic airshow with a lot of aerobatic acts. CEO's of airlines and heads of state come to Paris to order new civil and military aircraft. While new aircraft models are often presented at the Paris airshow for the first time all the time, companies have become quite creative in order to be noticed! Such was the case with the Brazilian airline manufacturer Embraer who brought their new Embraer E195-E2 to Le Bourget. 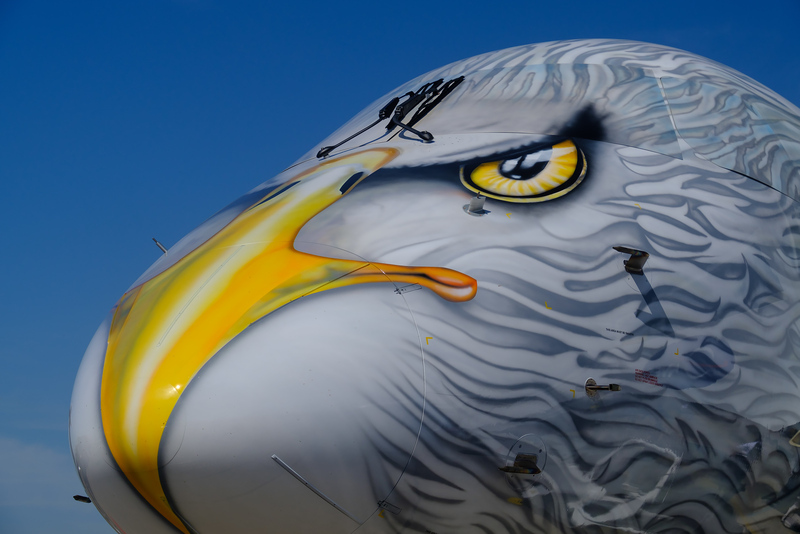 The nose section had received a great livery in the form of a Golden Eagle; named the "Profit Hunter" the jet was painted in house by technician Clodoado Quitana, which obviously has a nice creative side to his otherwise academic job in maintenance. Needless to say that the the cockpit window section of the paint job can be removed to go flying. Check out the following video on the painting process here. The Paris Airshow images can be found in their dedicated gallery. I'm presently testing "Piccure+" and really like the boost in sharpness while keeping all detail and avoiding noise artefacts. Expect a separate post about it somewhere in July. Today is the last day of Ramadan, the yearly month of fasting observed by Muslims all over the world and of which the yearly participation is observed as one of the 5 pillars of Islam. After Ramadan, the first day of the next lunar month starts of with festivities with friends and family, called Eid-al-Fitr; similar to how Christians celebrate Christmas. I would like to take the opportunity to which all my Muslim friends a EID MUBARAK - Blessed celebration. Just like previous years, I've documented part of Ramadan, especially around Iftar time; a social meal when the daily fast is broken around sunset time. Lots of people, mostly men, tend to gather in open areas around Mosques, to have Iftar together. It is quite a sight to often see hundreds of people waiting for Iftar time (breaking of the fast) on laid out seating areas. The three images below were shot at Satwa in Dubai during the last week of Ramadan. Click on the image for a better view. 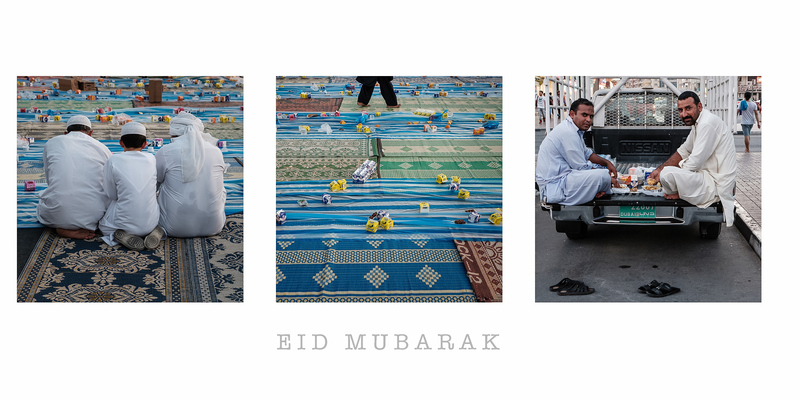 The full gallery of my images shot during Ramadan, can be found here. When I arrived in Dubai 15 years ago, work at Dubai Marina was just about to start with the digging of the 3.5 km long U-shaped Marina. Today it houses over 100.000 people in more than 100 high-rise buildings of which some are over 400m (1300ft) tall. 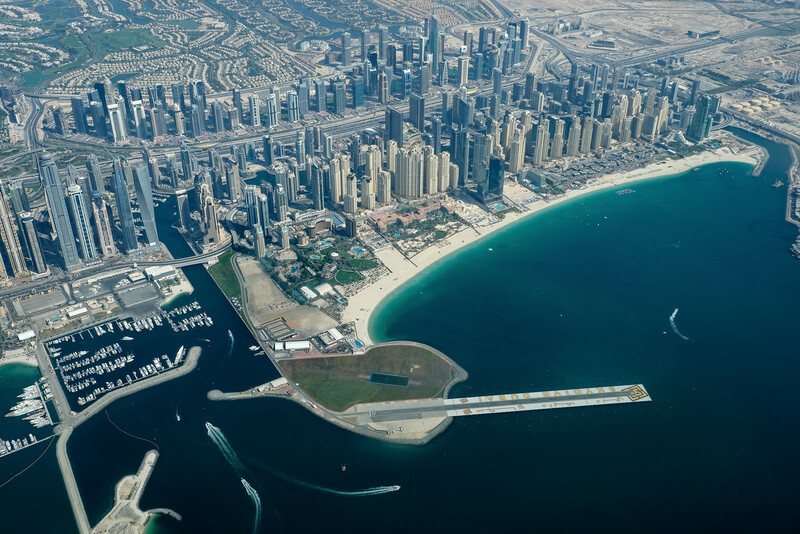 The aerial image below, also shows the runway of Skydive Dubai in the foreground; a large popular parachuting center right in front of Dubai Marina on a small man-made island. I haven't used Iridient Developer for my RAW development in a while, as I'm normally OK with the way Lightroom develops the file. I do however see still a little bit better results in images that have a lot of detail in it. Remember: "The city is not a concrete jungle, it is a human zoo" - Desmond Morris. 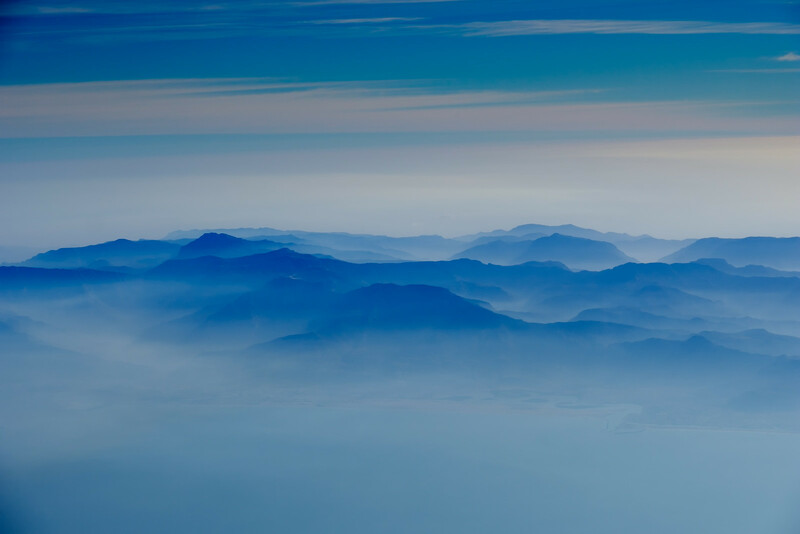 The aerial image below shows the Northern part of the UAE bordering Oman, on a peaceful early morning some time ago. I wrote a 25 page article for the June edition of the great Fujilove magazine about aerial photography. A few sample pages can be found below. If interesting in aerial photography, make sure to pick up a copy of the electronic magazine here.